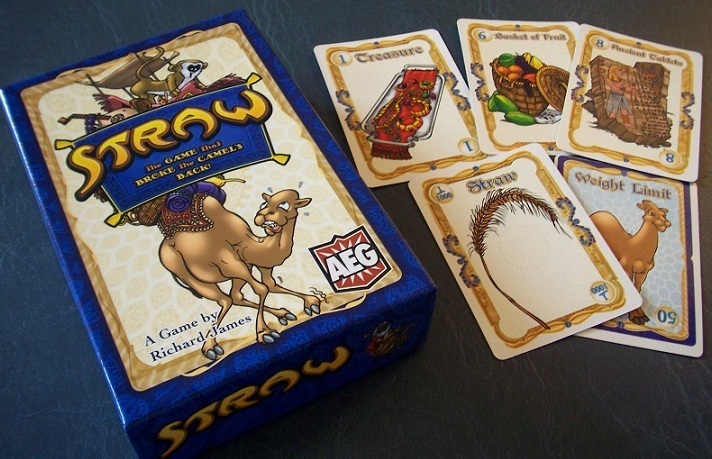 Straw is a light-hearted family card game that takes place in the world of Arabian Nights. 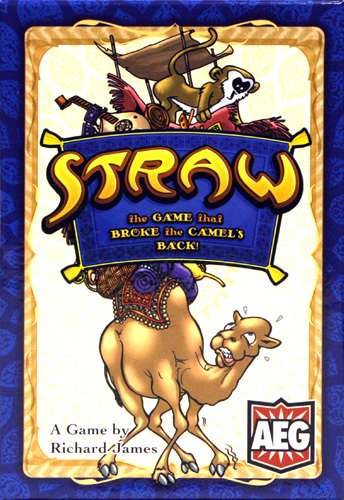 In Straw, you try to pack as many items as you can on top of a camel without breaking its back. If you can't, you lose the round – but other players must be careful not to load the camel too close to its limit because if you can break the camel's back with the Straw card, you win instead of losing! Will you be the one who breaks the camel's back?